Being stuck out in the fields as these ominous clouds approach must be a terribly frightening experience. As the storm moves in, the rain pours down, and lighting strikes, 61-year-old German photographer Franz Schumacher doesn't run for cover. Instead, he sets up his camera and photographs the experience for all to see. 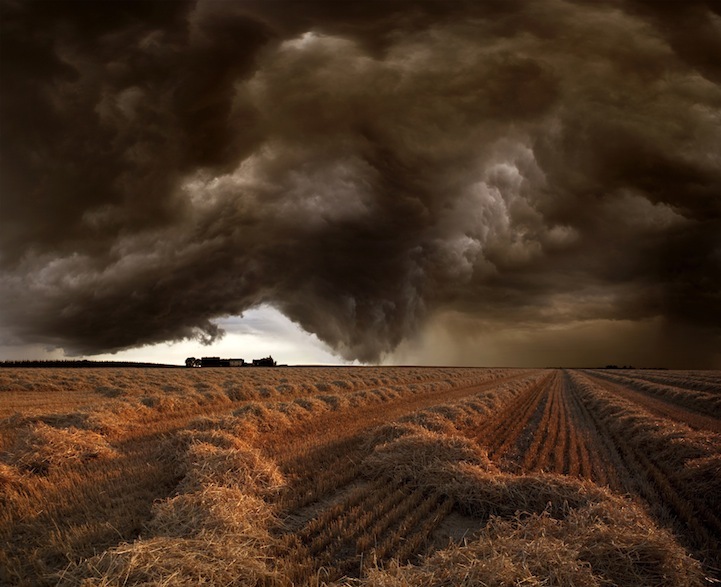 Harvest Time is a series of storms that roll in during the harvesting season in Strohgaeu Baden-Wuerttemberg, Germany.